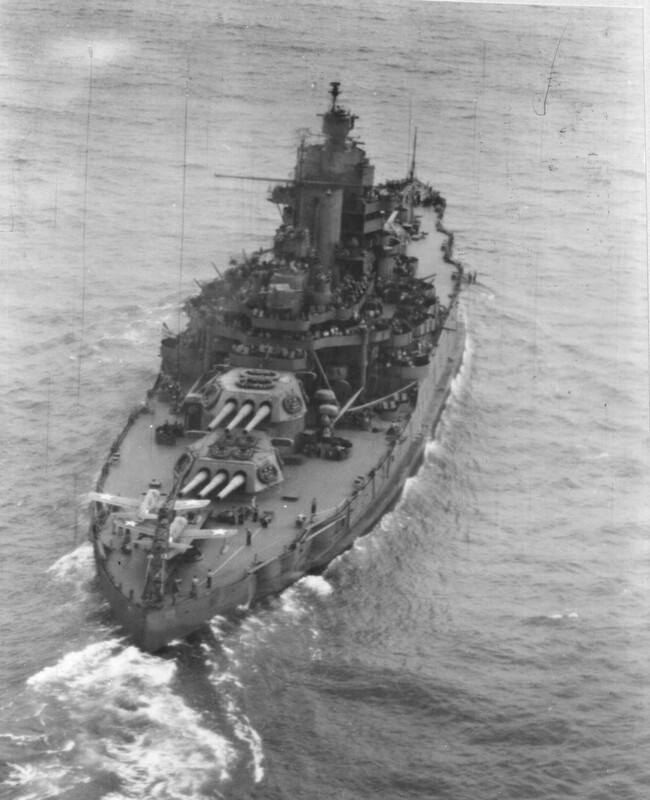 Great stern view of the USS New Mexico (BB-40) on January 2nd, 1943. January 2nd, 1945. 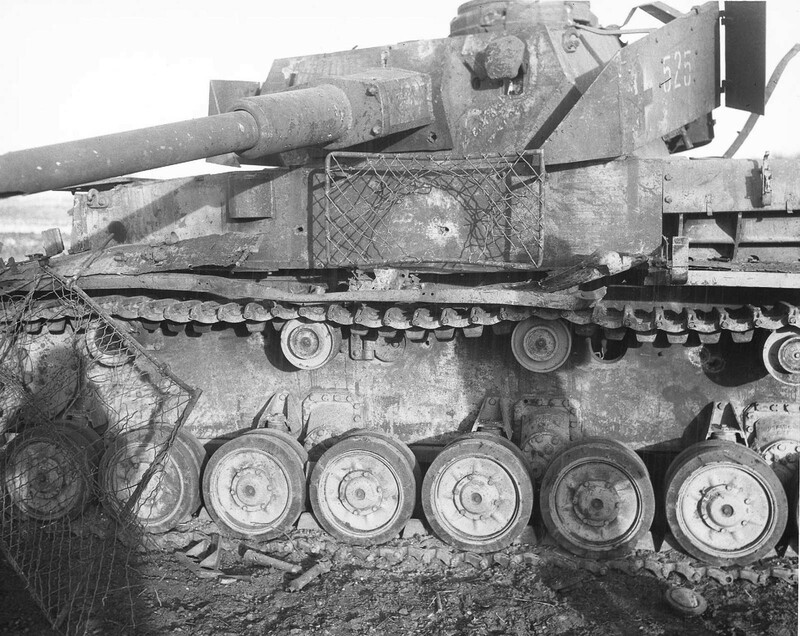 This Panzer IV has been hit three times by bazooka (probably more as target/experimental practice rather than in theatre, but I can’t find an exact reference) with armour piercing rockets. The interesting thing here is an early and pretty crude attempt at ‘spaced armour’ (the mesh covering part of the turret) against HEAT (High Explosive Anti-Tank) rockets. The idea is that the light sloped armour/mesh detonates the warhead prematurely so that the jet of metal is focused well before the main armour, neutralising some of the effect. Clearly, in this case, it didn’t work. Any more information/correction on this would be welcome. The road to ruin. This photo was taken of the German retreat from Moscow on January 2nd, 1942. Quite a bit of history pictured here. Well done, David! You summed up the effects of a shaped charge round very well. The reason it works so well is because – as you pointed out – it (sic) “detonates the warhead prematurely so that the jet of metal is focused well before the main armour, neutralising some of the effect.” I can’t really tell if it worked or not – only a photo taken INSIDE the tanks would show for sure, but it’s easy to see that a lot was happening there! The “focusing” of the jet of molten metal puts about 6 million psi (Pounds per Square Inch) in a spot less than 1 inch (2.5 cm) in diameter. Very few metals (or anything ELSE) can withstand that! That’s why most, if not ALL tanks are now made from sections of spaced armor steel. Sometimes there are strange substances in between the layers, like ceramics and in a couple cases, a styrofoam-like substance that can actually slow down a kinetic energy projectile, which causes it to lose effectiveness. If you don’t know, a kinetic energy projectile, (or SABOT as most are) relies on its mass and extreme speed to penetrate. (The modern 120mm SABOT used by NATO forces and likely all the others, departs the barrel at a blistering speed IN EXCESS of a mile [1.6 Km] per second. A shaped-charge tank round doesn’t need to be that fast and flies a bit more than half the speed of a SABOT round. They are called “chemical energy” rounds. Thanks for the detailed explanation, Jeff. The mind roils at what it would be like to get hit with one of these. I read Belton Cooper’s account (‘Death Traps’) of his armoured division’s push for Berlin and he describes hosing out the insides of tanks after taking a hit. Often not much left, certainly nothing that resembled a human. There are some photos of the consequences of these rounds out there on the internet; not for the faint of heart but really drives home the cold and indiscriminate realities of death. Thanks for dropping by, Jeff – always plenty of room here for your experience and knowledge. Love the shot of the NM! I love that photo, David. Thanks for dropping in! Beam me up ! You don’t see much about the New Mexico. One really interesting (in a geeky way) thing about the New Mexico is the story of her scrapping, which involves the neck of the woods you are from, Robert. BB-40 was sold for scrap to the Lipsett Division of Luria Bros. for $381,600. Lipsett decided to tow her in and scrap her at Newark, New Jersey, partly because to proximity f the railway, meaning they could pull her apart and send her off to steel mills, etc across the country. At that time Newark was going through a $70 million dollar ‘beautification’ process and they didn’t want big old ugly battleships spoiling their city. They actually stopped the tug boats bringing in New Mexico (along with the Idaho – BB42, and Wyoming – BB32) to the yards. The deadlock was only broken with strict penalties in place for every day ($1000) they went over a nine month time set to dismantle all three ships. Bob, as usual your additions are worth their weight in gold. It’s great to have a personal connection with these articles, stories, and images.